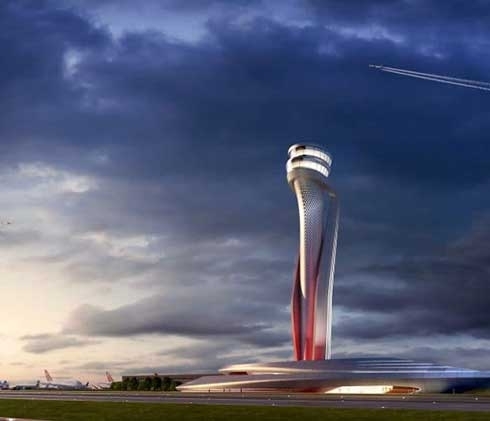 As an Engineering and Consulting firm, our close partnerships and in-house resources enable us to provide full service design opportunities ranging pure Structural, Bridge, Railroad and Highway Engineering to Architectural Design to MEP solutions. Our in-house capabilities include Seismic and Wind Engineering, Structural Retrofitting, as well as Bridge and Tunnel Engineering, Railroad and Highway alignment design and Project Coordination with professionals certified by internationally recognized organizations. Projects we encounter ranges from bridges to tunnels, railroads to highways to marine structures and large mix use and commercial or residential type of buildings. With worldwide associates from other disciplines networked across Europe and USA offices, we serve our clients as trusted advisors, combining localized expertise with global perspective wherever new opportunities arise. Our work reflects an enduring commitment to sustainability and the belief that innovation in design is one of the most powerful strategic tools for securing lasting competitive advantage. DKE has the capability to see a project through its entire life cycle, from planning to implementation to operation and maintenance. Partners of the firm have earned and continue to reinforce a distinguished reputation for its technical and management expertise. DKE will be the first company that comes to mind for solving difficult design problems by enhancing the design standards in the engineering and consulting community. - Through limitless service to our clients and collaboration with colleagues, we will create a lasting legacy that improves the lives of people and communities. - Through sound belief that good design does more than shape buildings and infrastructure: it creates places and solutions that shape possibilities for people. - Through sharing our client's vision and providing solutions in order to make it real. By doing so, we enjoy longstanding relationships with our clients; see them as strategic partners in their business growth model. 1) We act with integrity and respect. 2) We seek trust, innovation and excellence thru Quality. 3) We partner up with our clients in order to contribute to their success. 4) We realize that success is result of team effort and care for our colleagues, encouraging their development, engagement and achievement. 5) We act in a socially and environmentally responsible manner, committed to high standards of safe and sustainable performance. •	Member of Union of Chambers of Engineers and Architects of Turkey – Chamber of Civil Engineers. •	Affiliate Member, ITU Alumni Association. •	Member of University of West Georgia Alumni Association. 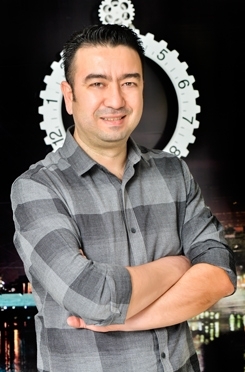 Kivanc Oncu is one of the founders of DKE Engineering & Consulting. As a partner, he also assumes the responsibility of being the Projects Coordinator of the firm. His duties include planning, organizing and managing all aspects of engineering management tasks and activities within the firm. Kivanc also assures that engineering services are commensurate with professional standards, client requirements, and corporate objectives. As a partner he participates in proposal presentation and business development activities and negotiates terms of key contracts with top-level engineers and officers of client organizations. Also as an entrepreneur managed to build a sustainable engineering business enterprise from zero to almost a 4 million dollar engineering business. •	Structural Design Management with inside and outside parties and Structural division management. •	Deep Station and escalator wellways, stair shafts designs and Open Cut shallow Stations and their Ventilating Structures. Kivanc is also an active member of Kemer Yatch Club and sails occasionally. He was the Vice President of Assembly of Turkish American Associations responsible for New York, New Jersey and Tristate area for a number of years during his years in New York. 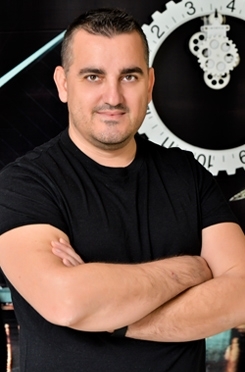 Deniz Cakir is one of the founders of DKE Engineering & Consulting. As a partner, he also assumes the responsibility of being the Projects Coordinator of the firm. His duties include planning, organizing and managing all aspects of engineering management tasks and activities within the firm. Deniz also assures that engineering services are commensurate with professional standards, client requirements, and corporate objectives. As a partner he participates in proposal presentation and business development activities and negotiates terms of key contracts with top-level engineers and officers of client organizations. Also as an entrepreneur managed to build a sustainable engineering business enterprise from zero to almost a 4 million dollar engineering business.